Scientists from Memorial Sloan-Kettering Cancer Center and Eureka Therapeutics have collaborated to create the new human monoclonal antibody, which targets a protein associated with many types of cancer and is of great interest to cancer researchers. Unlike other human therapeutic monoclonal antibodies, which can target only proteins that remain on the outside of cancer cells, the new monoclonal antibody, called ESK1, targets a protein that resides on the inside of the cell. ESK1 is directed at a protein called WT1, which is overexpressed in a range of leukemias and other cancers including myeloma and breast, ovarian, and colorectal cancers. WT1 is a high priority target for cancer drugs because it is an oncogenic protein, meaning that it supports the formation of cancer. In addition, it is found in few healthy cells, so there are less likely to be side effects from drugs that target it. The first studies of the antibody are showing promise in preclinical research as a treatment for leukemia as reported March 13, 2013, in Science Translational Medicine. ESK1 was engineered to mimic the functions of a T cell receptor, a key component of the immune system. T cells have a receptor system that is designed to recognize proteins that are inside the cell. As proteins inside the cell get broken down as part of regular cellular processes, molecules known as HLA molecules carry fragments of those proteins — known as peptides — to the surface. When T cells recognize certain peptides as abnormal, the T cell kills the diseased cell. Additional studies must be done in the laboratory before ESK1 is ready to be tested in patients. But the monoclonal antibody was engineered to be fully human, which should speed the time it takes to move the drug into the clinic. 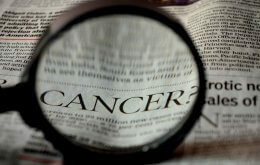 Researchers expect that the first clinical trials, for leukemia, could begin in about a year. The antibody was developed under a collaborative effort between Memorial Sloan-Kettering and Eureka, which have jointly filed for patent protection. This work was supported by grants from the Leukemia and Lymphoma Society, the National Cancer Institute, the Sloan-Kettering Institute’s Experimental Therapeutics Center and Technology Development Fund, the Commonwealth Foundation for Cancer Research, the Tudor and Glades Foundations, the Merker Fund, the Lymphoma Foundation, and the Mesothelioma Applied Research Foundation. Eureka Therapeutics is a privately held biotechnology company located in the San Francisco Bay Area, focused on the discovery of fully-human antibody drugs for the treatment of cancer. Utilizing its antibody drug discovery and engineering technologies, Eureka is advancing safe and effective therapies for targeting previously inaccessible cancer antigens. The company has built an early stage pipeline of innovative drugs, with the most advanced candidate at pre-clinical stage in collaboration with Memorial Sloan-Kettering Cancer Center. For more information about Eureka Therapeutics, please visit: www.eurekainc.com.